Tommy is an unemployed mechanic who spends most of his time in a bar (Trees Lounge) in a small blue collar town. He seems to always be thinking, "If only X then I could stop drinking". An offbeat drama focused on a homeless youth, a pop music siren and a member of the paparazzi. Jackie: Billy, Stan got new glasses. Jackie: Show him your glasses. Jackie: He don't like 'em. Bill: You look like an idiot. Published by Shane MacGowan, Perfect Songs Ltd. and SPZ Music Inc.
Steve Buscemi has long been one of the premiere character actors in the business; his resume reads like a veritable Who's Who of interesting, complex characters who run the gamut from psycho hit-man to regular guy, all of whom he has brought vividly to life in film after film. And whether or not a particular project is a hit or a flop, Buscemi is always good, and can always be counted upon to add that extra something to any given film, as he has in `Trees Lounge,' an affecting drama he not only stars in, but with which he makes his debut as a writer/director-- and an impressive debut it is. 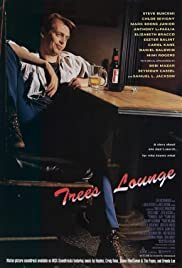 Tommy Basilio (Buscemi) is an out-of-work mechanic who lives alone above a bar called Trees Lounge in Long Island, N.Y. He's more than a bit down on his luck; not only did he lose his job, but his pregnant girlfriend of eight years, Theresa (Elizabeth Bracco) recently dumped him for his former boss, Rob (Anthony LaPaglia). He wants to pick himself up and get his life back together, but he doesn't seem to know where to start, and the garages to which he's applied for work aren't exactly knocking his door down to hire him. So he gravitates to the Trees, where he can at least interact with others who seem to be in situations not entirely unlike his own, though at different stages and for different reasons. But they all have one thing in common-- they're people just trying to get through the day; they're trying to get through life. If they can only figure it all out. With this film, Buscemi proves that he is more than just a talented actor, but rather a true artist in every sense of the word, with his chosen medium being film. He has an eye for detail which complements his insights into human nature and enables him to effectively translate his material to the screen. His characters are finely drawn and complex, and with each and every one he manages to successfully avoid the stereotypes to which a setting like this could easily lend itself (and no doubt would, in lesser hands). Even with the minor characters, he succinctly gives you enough of who they are that it allows you to see beneath the surface and know what makes them tick. And he does it imaginatively-- by filling a room with photographs or items that reflect who a certain person is, for example, or simply by training his camera on someone's face and allowing that extra beat that affords the viewer a telling glimpse of what's hiding behind a character's eyes. Buscemi has an innate sense of knowing how to convey what he's trying to say, and he does it in a million small and different ways that are subtle and incisive. Simply put, he knows what works-- including how to get what he wants out of his actors-- and he presents it all with a pace and timing that are right on the mark. In Tommy, Buscemi creates a character to whom many will be able to relate and identify on any number of different levels. To say that Tommy is a `loser' would be too much of a simplification, because the character is too complex for that tag alone to be accurate. Tommy is blue-collar, down on his luck, and like so many people in real life, just can't seem to put it all together, can't figure out how `life' is supposed to work. And that's what Buscemi conveys so subtly and so well, and it's the key to the success of this character-- it's what makes Tommy believable and real. Obviously, Buscemi knew exactly what he wanted when he wrote this character, and he puts it across with a brilliant, memorable performance which also demonstrates his ability to star in and carry a movie on his own. Certainly, he has a wonderful supporting cast that gives him plenty of help, but few character actors have ever been able to step into a lead role with such facility and achieve the level of success Buscemi has here. And it's work that deserves to be acknowledged. 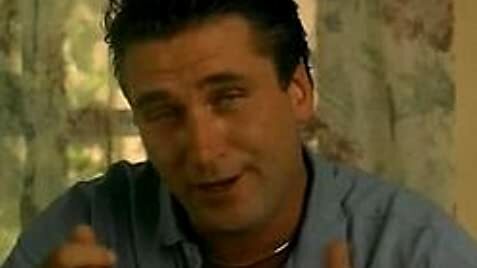 There are a number of notable supporting performances in this film, as well, beginning with Mark Boone Junior, who as Mike captures the essence of a guy who is successful, but a loser nonetheless; LaPaglia, who gives a solid performance as Rob; Bracco, with a performance that is introspectively revealing; Debi Mazar, who with very little screen time leaves an indelible impression (and her eyes are absolutely mesmerizing); Kevin Corrigan (another of the finest character actors around), as Matthew; and especially Chloe Sevigny, as Debbie, Theresa's mature-beyond-her-years, seventeen-year-old niece. Rounding out the ensemble cast are Carol Kane (Connie), Bronson Dudley (Bill), Michael Buscemi (Steve's real life brother, playing Tommy's brother, Raymond), Suzanne Shepherd (Jackie), Rockets Redglare (Stan), Seymour Cassel (Uncle Al), Annette Arnold (Sandy), Michael Imperioli (George), Mimi Rogers (Patty), Daniel Baldwin (Jerry) and Charles Newmark (Puck). An involving story presented with a rich assortment of memorable, convincing characters, `Trees Lounge' is a drama about life-- about the things going on in your own neighborhood, or downtown or two streets over, no matter where you are in the world. Wherever people are, there are situations like the ones depicted in this film, problems that have to be solved and life that has to be lived. And that's what makes this film so good; it gives the audience a chance to connect with, or at least examine, things that anyone anywhere will be able to recognize. It may have taken a collaborative effort to make this one what it is, but in the end, it's Buscemi's film from start to finish, and a satisfying little gem of a movie it is. And that's the magic of the movies. I rate this one 8/10.